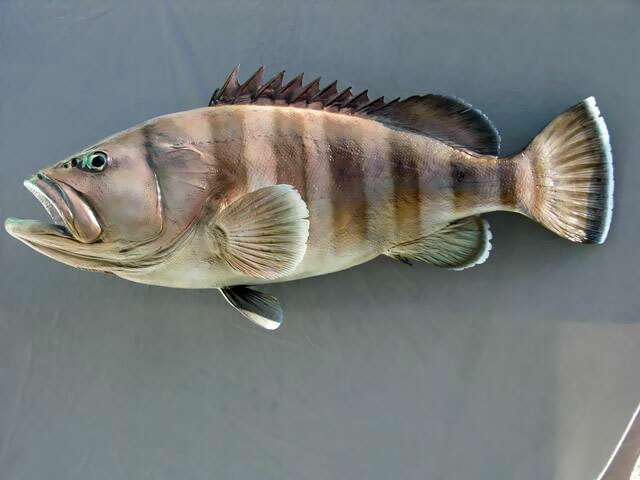 The only grouper in the Caribbean with a pattern of regular dark bars. A solitary, deep-water species reported from 200-1200 ft; juveniles sometimes in water as shallow as 30 m. Mist grouper feed on fishes, crustaceans, and squids. Virtually nothing is known of the age, growth, and reproduction of this species.